The Certificate III in Hospitality qualification reflects the role of skilled operators who use a range of well-developed hospitality skills. They use discretion and judgement and have a sound knowledge of industry operations. They work with some independence and under limited supervision and may provide operational advice and support to team members. 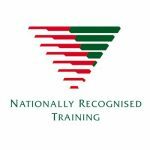 The qualification is delivered on-the-job and is offered as a Traineeship, ASBA, Skilled Capital, Fee-For-Service or Recognition of Prior Learning (RPL) pathway and will lead to a Nationally Recognised Qualification on successful completion. If you choose to study with Access Recognised Training (ACCESS), you and you’re employer will be undertaking one of the most up-to-date, industry relevant work-based training programs available. Together, we will work towards empowering you with the knowledge, practical skills and experience that is necessary to be successful in the challenging world of hospitality.